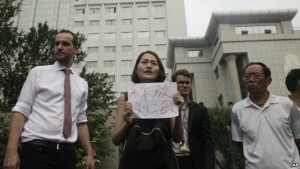 Li Wenzu, center, wife of imprisoned lawyer Wang Quanzhang, holds a paper that reads “Release Liu Ermin” as she and supporters of a prominent Chinese human rights lawyer and activists stage a protest outside the Tianjin No. 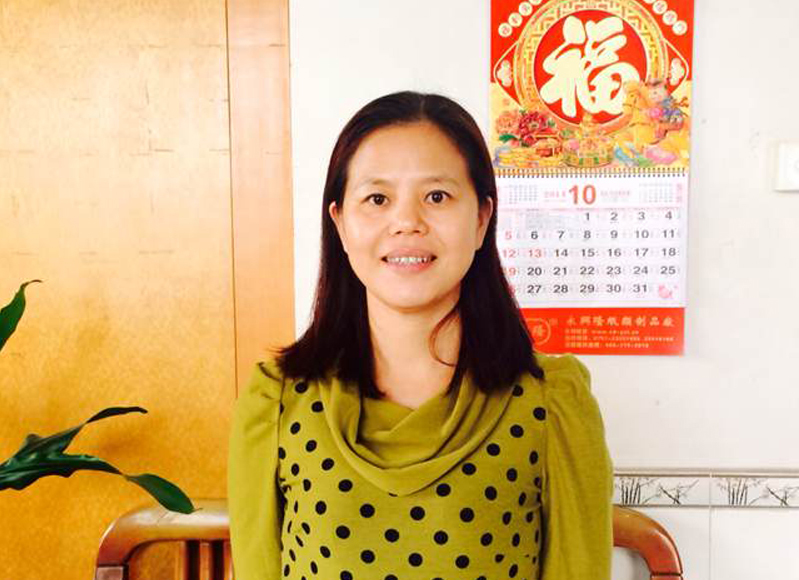 2 Intermediate People’s Court in Tianjin, China on Aug. 1, 2016. 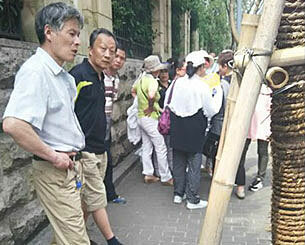 TIANJIN—Around two dozen supporters of a prominent Chinese human rights lawyer and three activists charged with subversion protested outside a northern city court Monday amid widespread concerns that authorities were holding their trials in secret. 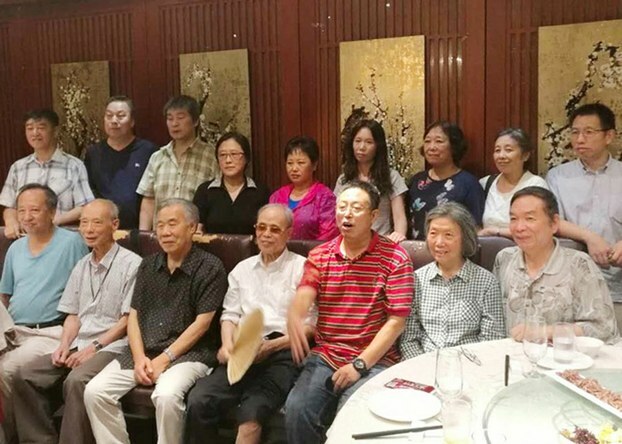 Staff of Chinese cutting edge political magazine Yanhuang Chunqiu at a gathering, July 22, 2016. Photo courtesy of an RFA listener. 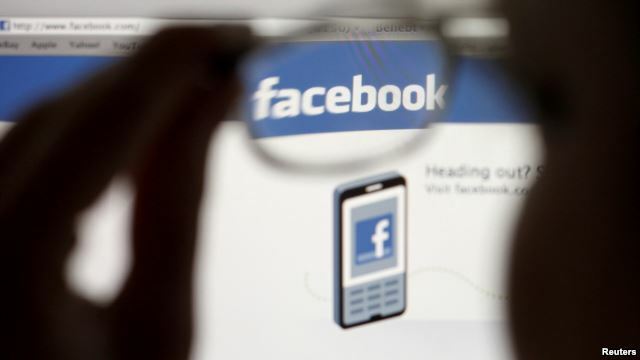 The Facebook logo is seen enlarged through glasses on a computer screen.